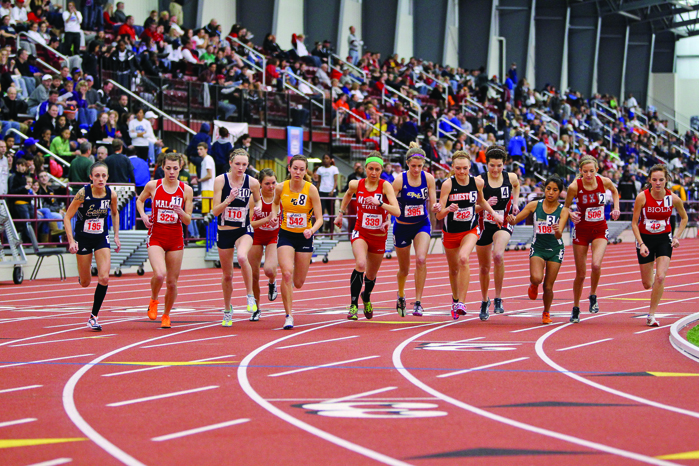 The National Association of Intercollegiate Athletics Indoor Track & Field Championships attracts nearly 1,000 college athletes from 100 schools from across the country to compete. Event History: NAIA events grew out of a 1937 basketball tournament that would go on to become the longest-running in the country. By 1952, the NAIA had adopted its present name to reflect the introduction of championships in golf, tennis and outdoor track and field. Men’s indoor track and field joined in 1966. In 1980, the NAIA became the first collegiate athletics association to sponsor both men’s and women’s championships, by adding women’s basketball, cross country, gymnastics and indoor track and field, among other events.